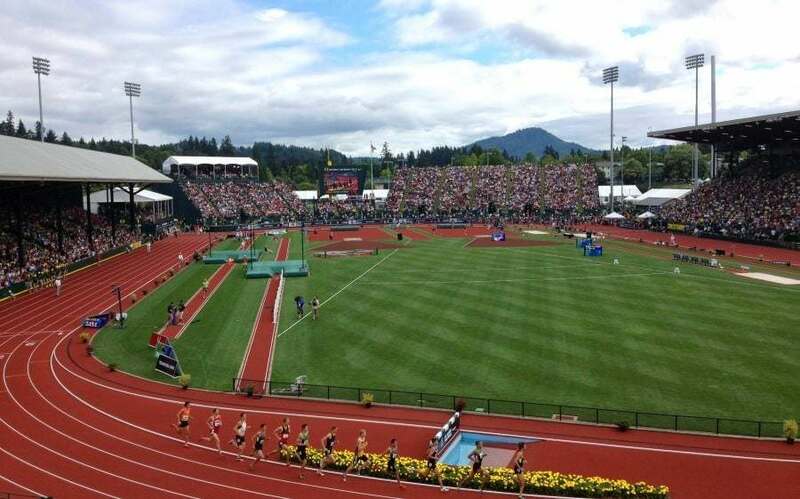 Mark your calendars, the IAAF Track & Field World Championships are coming to Oregon in 2021. It’s happening in Eugene, better known as TrackTown USA. This athletic community is famous for its quality tracks and trails, and hosts the U.S. Olympic Track & Field Trials at the University of Oregon. It’s also the birthplace of Nike and the modern running shoe. Maybe that’s why the running opportunities are top notch here. Take your pick from riverside runs to rocky butte routes and woodsy adventures — Eugene has it. But Eugene is more than running royalty. Lively and creative, the metro maintains a college-town mojo while supporting world-class cultural events and a food-and-drink scene to inspire many a postcard home. Best of all, Eugene provides easy access to some of the best Oregon has to offer. It’s located in the South Willamette Valley, a two-hour drive from Portland, one hour from the Oregon Coast and a stone’s throw from Southern Oregon, Central Oregon and beyond. If you’re coming for the world championships, you’re going to want to extend your trip. 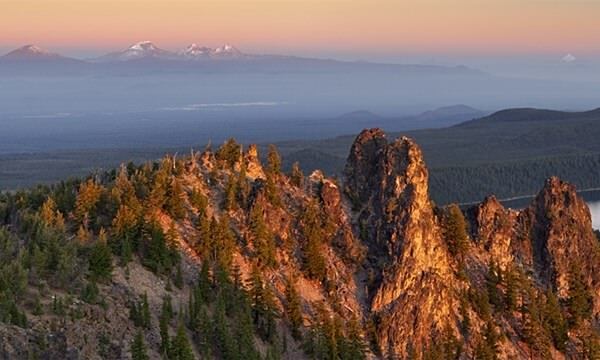 There’s a lot to see and do in Oregon, but don’t worry, it’s a good time to start planning now. Take a tour of Eugene’s iconic running history, from the legendary tracks to the lesser known trails and everywhere in between. While you’re here, why don’t you see the rest of Oregon? Surrounded by towering cliffs, Crater Lake has water so blue that it’s no surprise it’s the deepest lake in America and one of the deepest on earth. Troubles seem smaller at the Oregon Coast, where you can splash in tide pools, watch whales, hunt for agates and wander 363 miles of public coastline. Mt. Hood’s perpetually snowy peak — crowned by 11 glaciers — can be seen from miles and miles away and is home to six ski areas. 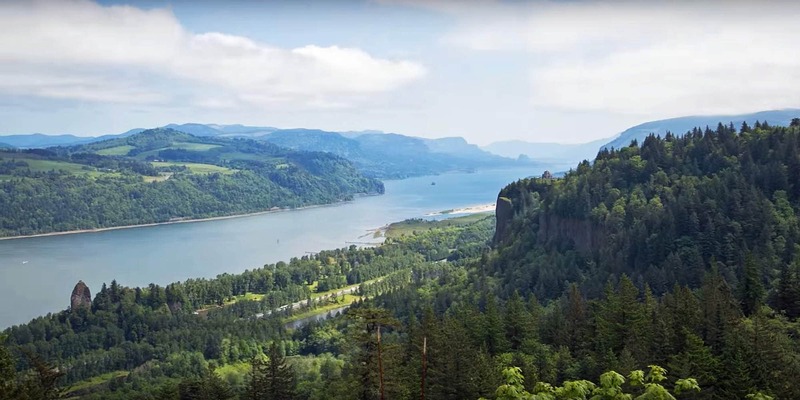 The unique geology of the Columbia River Gorge National Scenic Area has blessed it with dozens of awe-inspiring waterfalls and cliffside vistas. 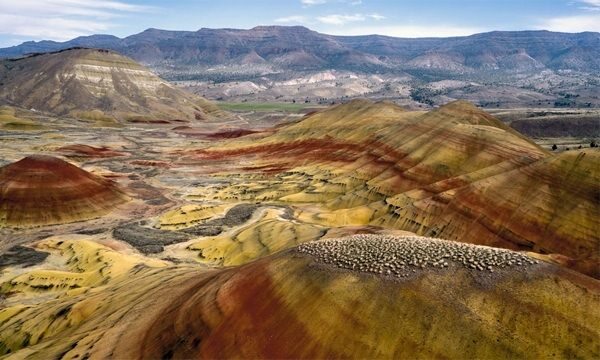 The Painted Hills showcase millions of years of history in colorful layers of mountains of earth, one of three units of the extensive John Day Fossil Beds. At Smith Rock, towers of volcanic ash rise like the spires of a cathedral out of the sage and dust of the high desert at the birthplace of sport climbing. In the Wallowas, you can take a gondola to the top of an alpine summit and see the high desert country and the deepest river gorge in North America. 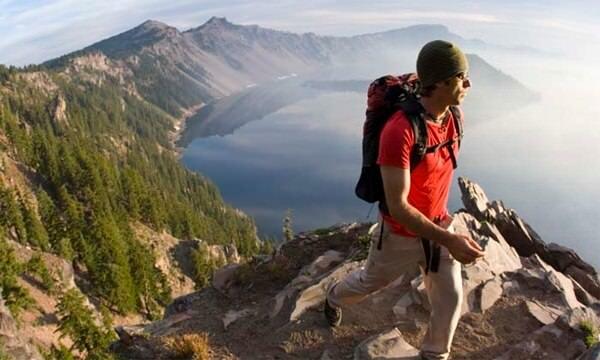 The 7 Wonders of Oregon have blessed it with some of the most diverse and breathtaking landscapes in North America. Use this itinerary to see them all — from the snowy peaks of Mt. Hood to the deep blue waters of Crater Lake. You’ll be amazed by how quickly two weeks go by. Discover the state’s famed vineyards, first scenic bikeway and valuable heritage sites. 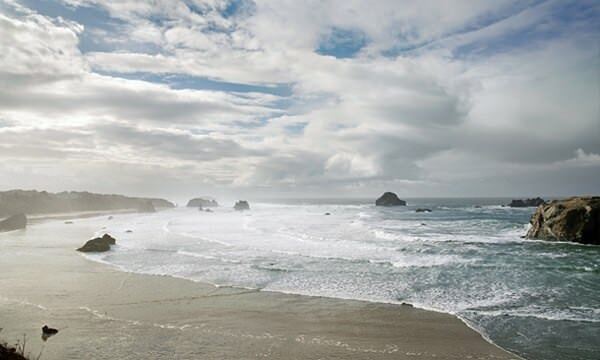 With 363 miles of free and public coastline, the Oregon Coast is outdoor fun for all ages. 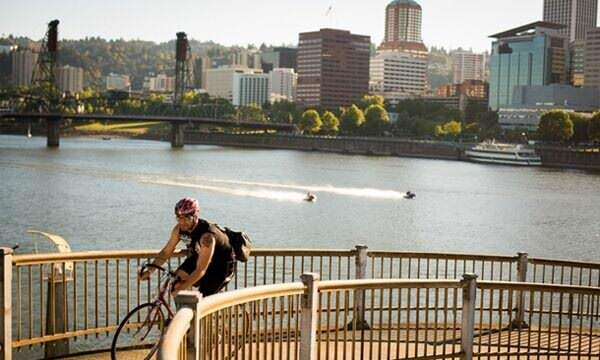 Home to the world’s most breweries, Portland is easy to explore by bike. 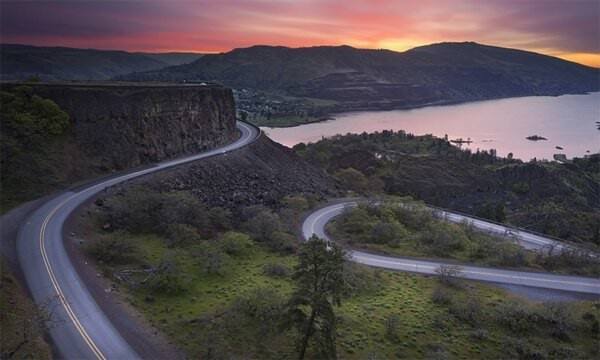 Drive the Historic Columbia River Highway to see some of the best of Oregon. A journey through the natural history of the high desert’s land of lava. 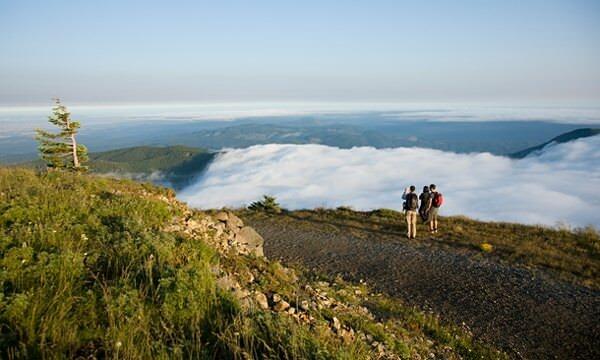 Hike one of the country’s crown jewels and raft down whitewater rapids. Exploring the vast John Day Fossil Beds makes for a timeless adventure.